FHA 203(k) standards are listed in the FHA Single Family Home Loan Handbook, HUD 4000.1. Those rules include a list of approved projects, plus a list of ineligible projects. Borrowers should know ahead of time what is allowed and what is not with these FHA rehab loans for best results when applying. 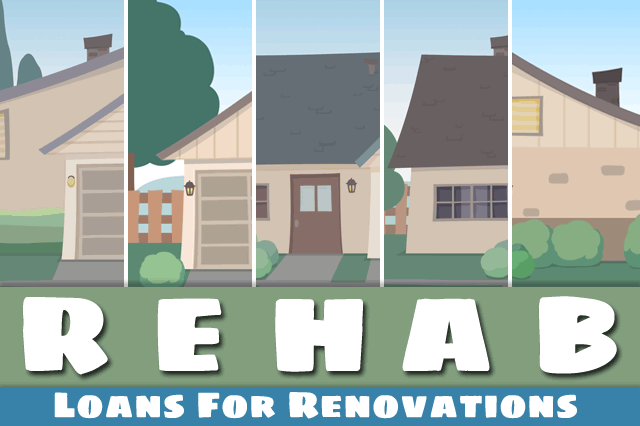 March 7, 2018 - FHA 203(k) rehab loans are available for those who want to buy fixer-upper homes, or refinance a mortgage and make improvements with rehab loan funds. For example: cash back to the borrower is not allowed for FHA rehab loans, except specifically required to pay for materials and labor. The basic rule is that the borrower cannot "profit" from the loan in the form of money back that is not a refund or a “draw” for expenses on the renovations/upgrades. FHA loan rules require escrow accounts to disburse 203(k) rehab loan funds, and the completed work must meet state/local building code, FHA minimum standards, and other benchmarks where applicable. Depending on the nature of the project, certain types of repairs and renovations are allowed with FHA 203(k) loans, but other work is not. One example: FHA borrowers are allowed to repair a swimming pool with 203(k) loan funds, but FHA loan rules state the borrower may not have one installed if one does not currently exist. Bath houses and tennis courts may not be installed, nor can barbecue pits or satellite dishes. The general rule is that FHA 203(k) loans cannot be used for “luxury” items. Speak to your loan officer to learn what the parameters are for your specific needs. This list is not exhaustive, and there are many other projects in addition to the ones listed above that are approved for FHA 203(k) loans. The FHA loan rules are not the only ones that can affect FHA 203(k) transactions; state law, lender standards, and building code may apply to any or all of the eligible improvements permitted under the 203(k) rehab loan program.